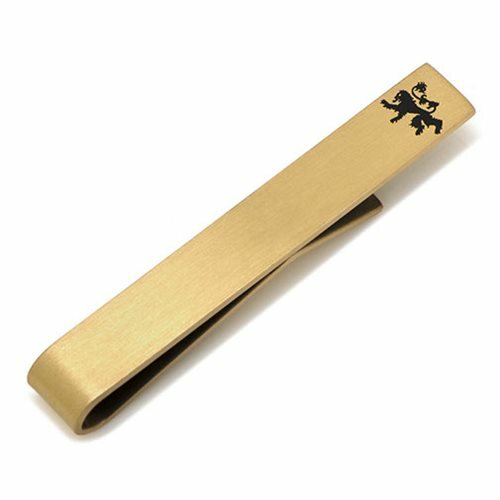 Look as dashing as Jaime Lannister when you sport this sleek tie bar featuring the lion of House Lannister. The Game of Thrones Lannister Icon Tie Bar is brushed gold plated metal with enamel filled sigil of House Lannister. Officially licensed from HBO's Game of Thrones. The tie bar is a must have for fans of the hit HBO series Game of Thrones. Measures about 2-inches long x 1/4-inch wide.